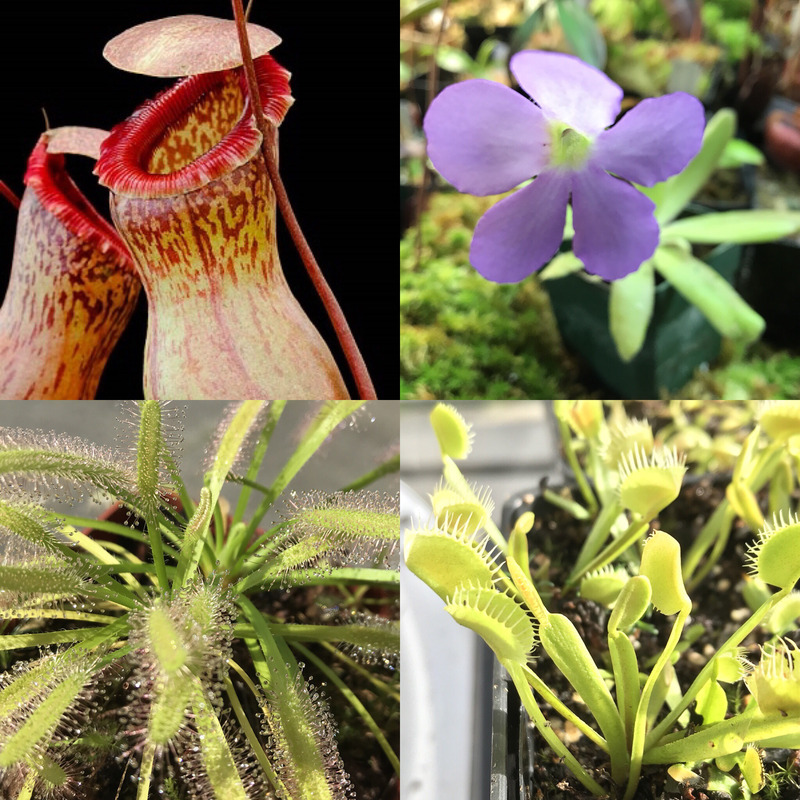 Basic Beginners Carnivorous Plants Starter Kit!!! Everything you need to get started with a wide variety of of Carnivorous Plants, weather in a terrarium, a greenhouse or windowsill this is the best way to get started on growing these wonderful plants! See individual plant listing for details on each plant, research all plants before purchase, Venus flytraps grow best in full sun and needs a winter rest. Small pots included. Plants with be shipped with bare root with roots wrapped in sphagnum moss wrapped with paper towel, in a sealed bag or container before boxing up. Shipping from Canada. Plant size is size small. Sorry no subs. -Price is for 5 plants, media and Pots!